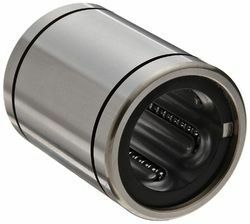 We are one of the leading manufacturers, traders, exporter, importer, service provider and wholesaler of Hardchrome shaft, Housing Bearing & much more. These products are highly demanded in the market. Ball cage bush available with ID 15 mm to 80 mm with 3 mm & 4 mm ball. Backed by years of industry experience, we are engaged in offering a premium quality range of Linear Ball Bushes. 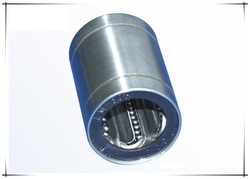 Ball Bearing Bush is used in aircraft generators, motors and accessory applications. This brush is highly applauded among our clients owing to its high strength and fine finish. With an objective to fulfill the ever-evolving demands of our clients, we are engaged in offering a wide assortment of Linear Ball Bearing Bush. We are a most trusted name among the topmost companies in this business, involved in offering Linear Ball Bushing Bearing. In our extensive product range, we are involved in trading a huge assortment of Linear Ball Bushing. Supported by sophisticated infrastructure, we are providing a large gamut of Ball Bushing Bearing to our valued clients. We made various sizes of products as per customer's specifications. Our clients can avail from us an assortment of Bearing Bushes that is extensively used in various application. Manufactured in accordance with international quality standards, our range is widely appreciated for its high performance, durability and resistance to corrosion.